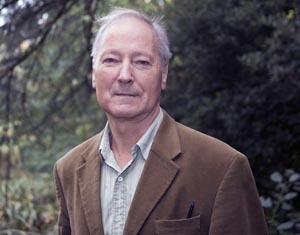 John Eade is Professor of Sociology and Anthropology and former Executive Director of CRONEM (Centre for Research on Nationalism, Ethnicity and Multiculturalism) which links Roehampton and the University of Surrey. After research in Kolkata (Calcutta) on the social identity of the educated Bengali Muslim middle class, he completed his PhD in 1986 on Bangladeshi community politics in Tower Hamlets. Since then he has researched the Islamisation of urban space, globalisation and the global city, British Bangladeshi identity politics, and travel and pilgrimage. He recently co-founded two book series - the Routledge Series on Religion, Travel and Tourism and the Ashgate Series on Pilgrimage. Wth Dr Michal Garapich and Jamil Iqbal he completed in 2012 an EU Leonardo da Vinci project designed to help migrant workers improve their access to the labour market. The other partners in the project are Autremonde and iriv in Paris, Oikodrom in Vienna, the New Bulgarian University in Sofia and the University of Burgos in Spain. As Executive Director of CRONEM, he worked with Dr Ann David and Dr David Garbin on a Ford Foundation/SSRC study of religious communities in London, which linked with similar research in Johannesburg and Durban with Prof Thomas Hansen and in Kuala Lumpur with Prof Diana Wong; with colleagues at the University of Leeds and elsewhere on an AHRC Diaspora, Migrants and Identity project on the British Asian city; with Dr B. Shah who gained a three year ESRC Research Fellowship and was based at Cronem through Roehampton. He also developed Cronem Consulting with a multilingual, multidisciplinary team including Michal Garapich, Sean Carey, Irina Chongarova and Joanna Krotofil. Projects have been completed for various London boroughs as well as for Surrey Police and IPPR. He completed, with Dr Stephen Drinkwater and Michal Garapich, an ESRC-funded study of Polish migrants in London, which was assessed as outstanding; with Prof Martyn Barrett (Surrey), Dr Marco Cinnirella (Royal Holloway) and Dr David Garbin a Leverhulme-funded study of British Bangladeshi and mixed heritage adolescent identity; mentored Dr Georgie Wemyss as an ESRC post-doctoral fellow; concluded a British Academy-funded network with Prof S. Gupta (Open), Prof C. Flood (Surrey), Y. Valkanova (Roehampton) and colleagues in Bulgaria on flows of people, information and images between Britain and Bulgaria, completed with Swadhinata, a British Bangladeshi heritage group, an oral history project funded by the Heritage Lottery Fund. (For further details see www.surrey.ac.uk/Arts/CRONEM) and supported another oral heritage project on Congolese refugees in London led by David Garbin in collaboration with CORECOG. 2007-2010: mentored Dr B. Shah on her ESRC Research Fellowship. 2006-2009: a study of black Pentecostalists, Muslims and Hindus in London as part of a wider study in S. Africa and Malaysia funded by the Ford Foundation and SSRC, New York. 2007-2009: contributed to AHRC Diaspora Networks project led by Dr S. McLoughlin and others at the University of Leeds. 2008-2009 Supported Dr D. Garbin on the oral history project with Congolese families in London funded by the Heritage Lottery Fund and in collaboration with CORECOG. 2006-2007 British Academy-funded project with Prof S. Gupta (Open) and colleagues at Plovdiv University, Bulgaria, on flows of people and information between Britain and Bulgaria. 2006-2007 health inequality study with Ritoo Banersee and Brent PCT. 2005-2007 mentored Dr Georgie Wemyss on her ESRC Post Doctoral Fellowship. 2005-2006 ESRC-funded study of class and ethnicity among Polish migrants in London with Dr. S. Drinkwater (Surrey) and Dr. M. Garapich. 2005-2006 study of British Bangladeshi and mixed heritage adolescent identity with Prof Martyn Barrett (Surrey), Dr Marco Cinnirella (Royal Holloway) and Dr David Garbin, funded by the Leverhulme Trust. 2005-2006 supported Swadhinata, a British Bangladeshi heritage group, on an oral history project funded by the Heritage Lottery Fund. 2004-2005 study of British Gujarati early childrearing beliefs and practices with Dr Begum Maitra (consultant psychiatrist, Hackney) supported by Brent PCT and the Joint Innovation Fund. ESRC 2002-2004: with Dr Camille O'Reilly (Roehampton University) Global Nomads: Movement, Place and Identity in Long-Haul Independent Travel. ESRC 2001-2002: with Professor Sallie Westwood (University of Manchester): globalisation and links between Britain and Bangladesh. For current projects see outline above. Developed Cronem Consultancy with a team including Dr M. Garapich, Prof I. Chongarova, Dr O. Jensen, S. Carey and J. Krotofil. Projects have been undertaken for Greenwich, Hammersmith and Fulham, Lewisham, Merton and Redbridge borough councils and for Surrey Police and DSTL. Co-authored report with Dr Sean Carey, Dr Michal Garapich, Dr David Garbin and Joanna Krotofil for Merton Borough Council on Preventing Violent Extremism. Co-authored report with Dr David Garbin for the Foreign and Commonwealth Office on the Bangladeshi diaspora's political beliefs. Co-authored report with Dr Yunas Samad (Bradford) for the Foreign and Commonwealth Office on 'forced marriage' among British Pakistanis and Bangladeshis. Globalisation, transnationalism and urban change; minority ethnic groups in Britain; travel and pilgrimage in Europe.